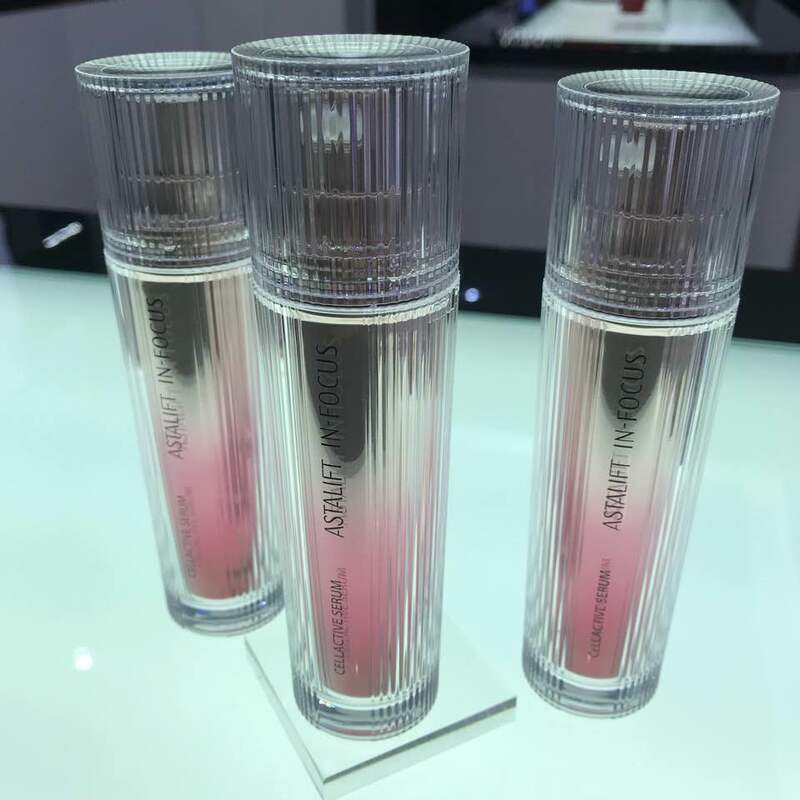 ASTALIFT In-Focus Cellactive Serum - Free Samples! 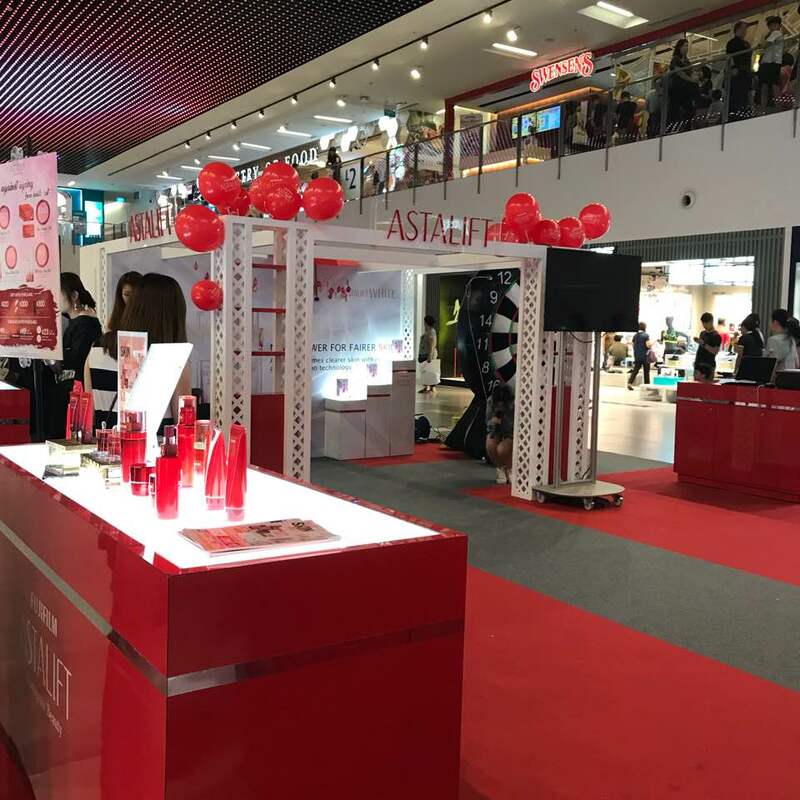 ASTALIFT recently open it’s third and largest boutique in Nex! I’m sure people living in the Northeast region will know how Nex is always bustling with people! - it sure was crowded when I went there on a Thursday evening a few weeks back! 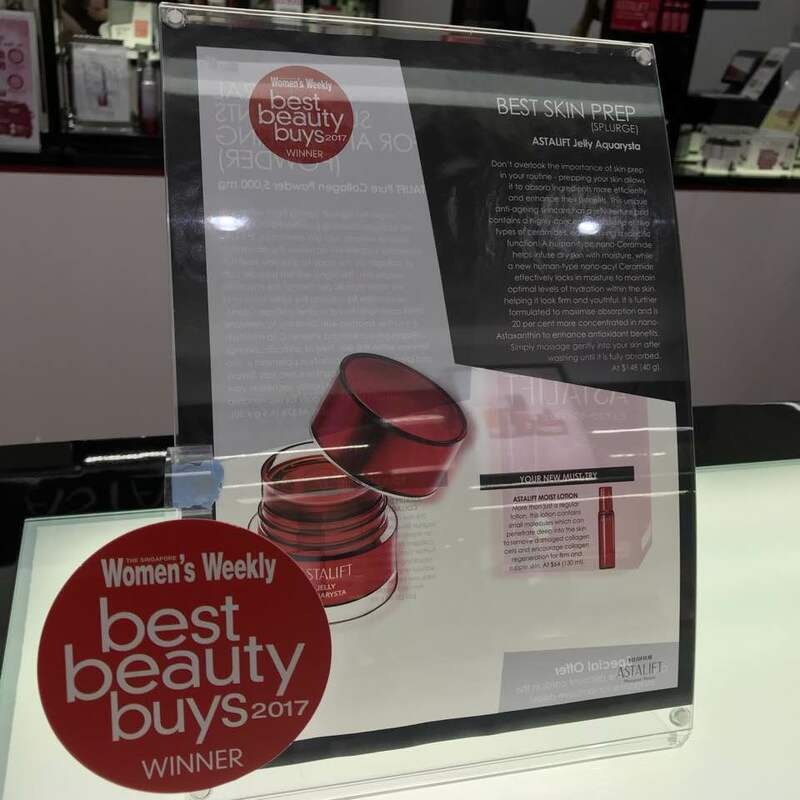 The new store is 688 square feet filled with beauty products that I’m sure ladies from the #dayrebeauty community here will go gaga about! 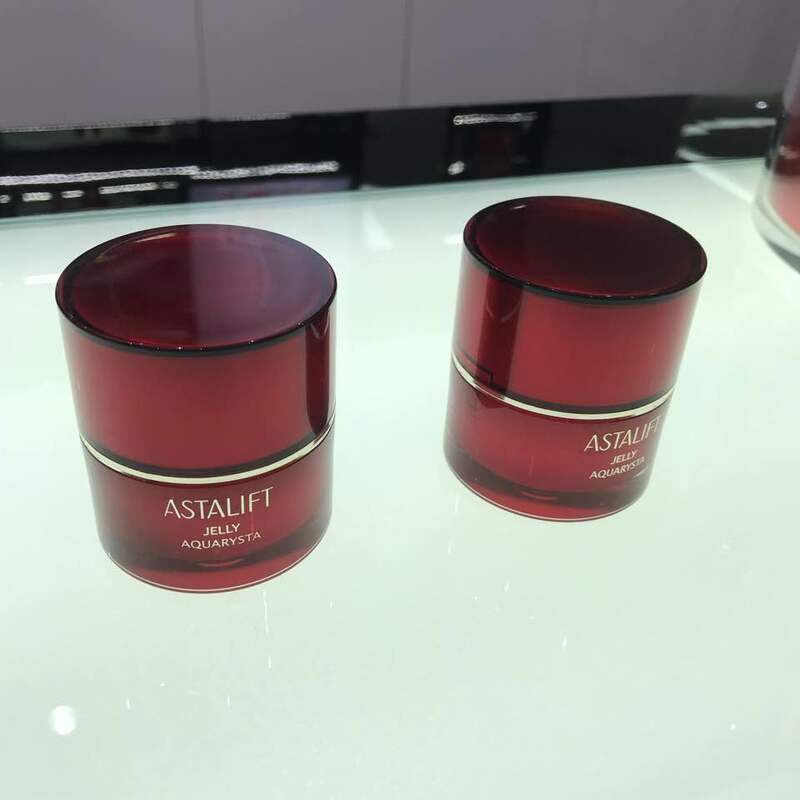 Do you know that Astalift is created by Fujifilm? - yes, Fujifilm the brand that we are oh so familiar with! 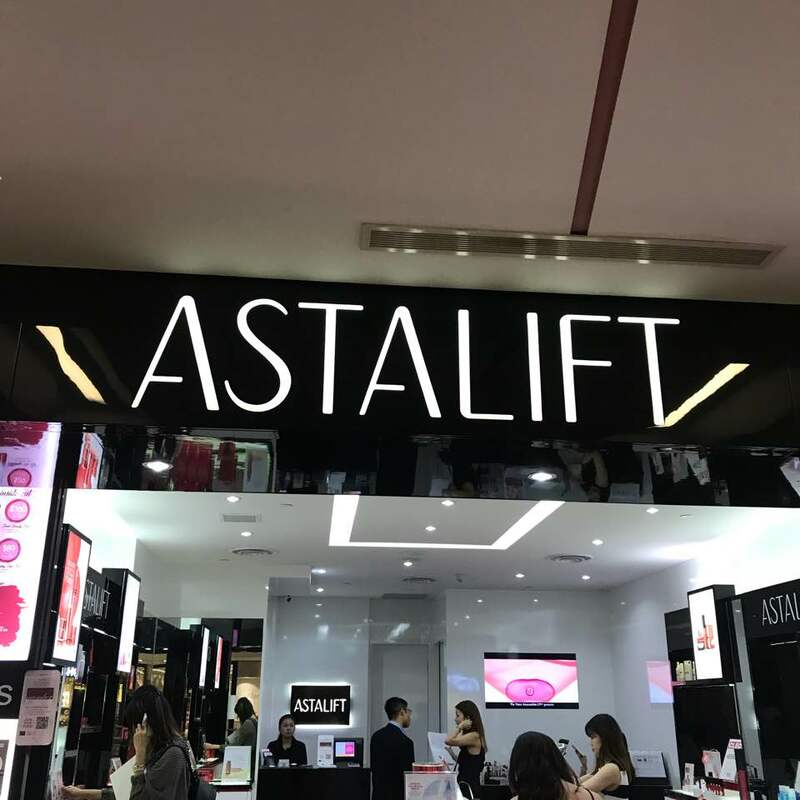 The people behind Fujifilm has been using their vast experience in the photogenic and medical fields to apply advanced technology into Astalift’s products! 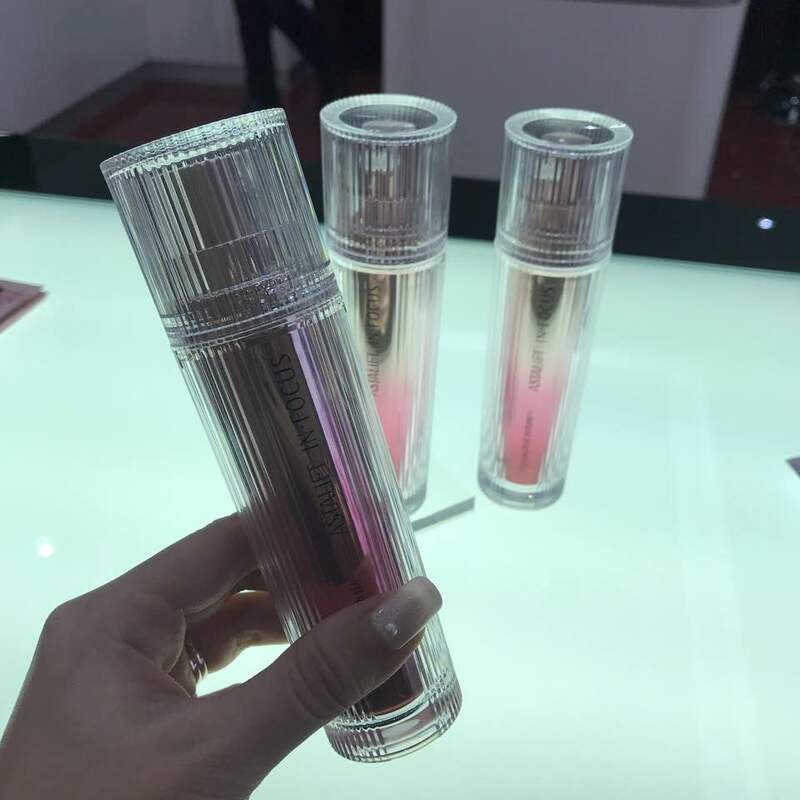 One of the highlights would be their nanotechnology and stem cells ingredient is what sets their products apart from the rest in the market! 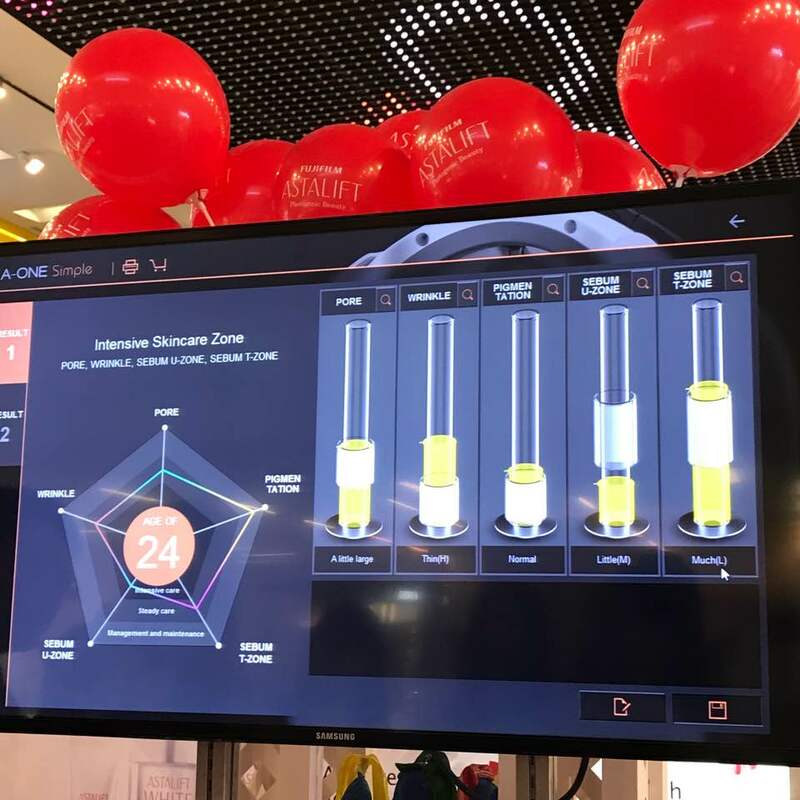 The unique selling point of this serum lies in the ion sensing technology, which allows quick and fast penetration to our skin! Texture: it boost a jelly-like texture that changes to liquid when you apply it on your skin! It penetrates my skin fairy quickly! Effect: I was given a sample to try and I like how it makes my skin feel soft to touch after application. I like how it contains anti-aging ingredients (something that I have to start using, since I’m already in my late 20s)! 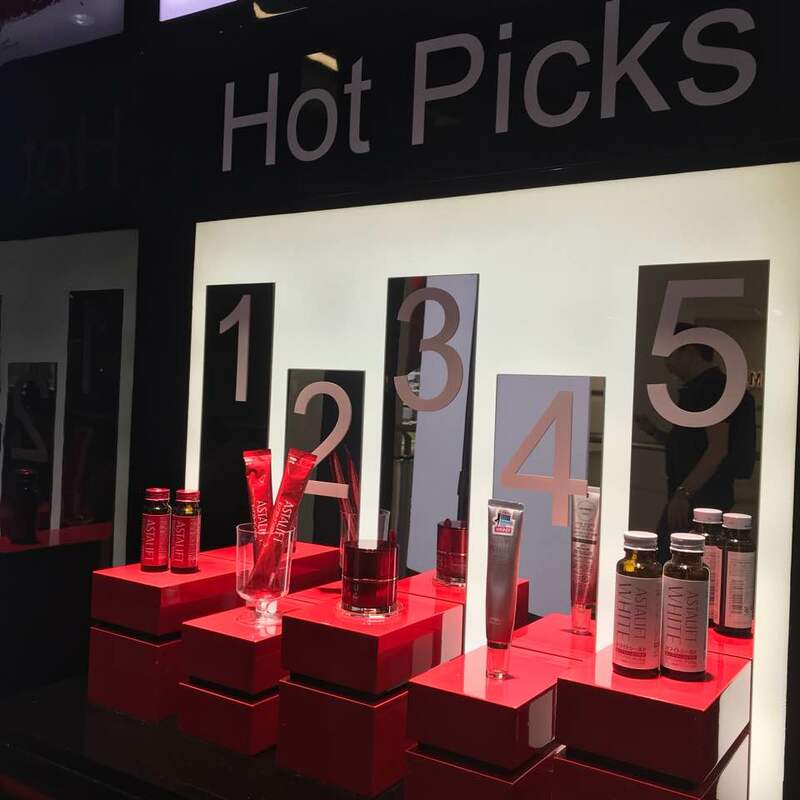 Some of the hot picks which are highly popular among customers! This product is popular for it’s moisturising properties! 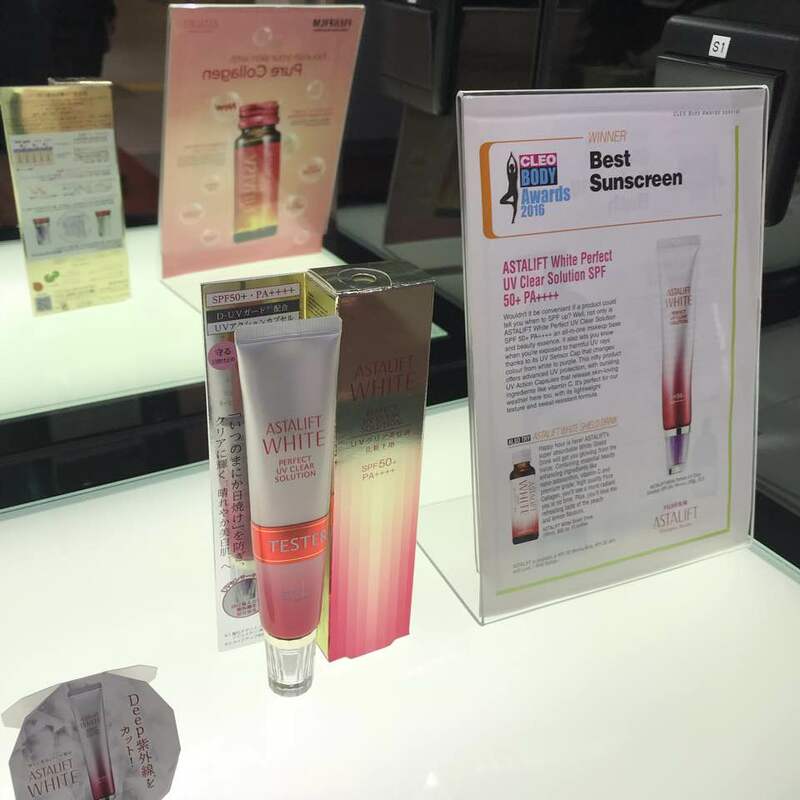 The White perfect UV Clear solution is also a highly raved product among many! I’m sure everybody should know the importance of applying sunblock, but finding one that is good is not easy! Our beauty consultant applied a thin layer on a volunteer! He brought us over to the road show area to show us the results after! 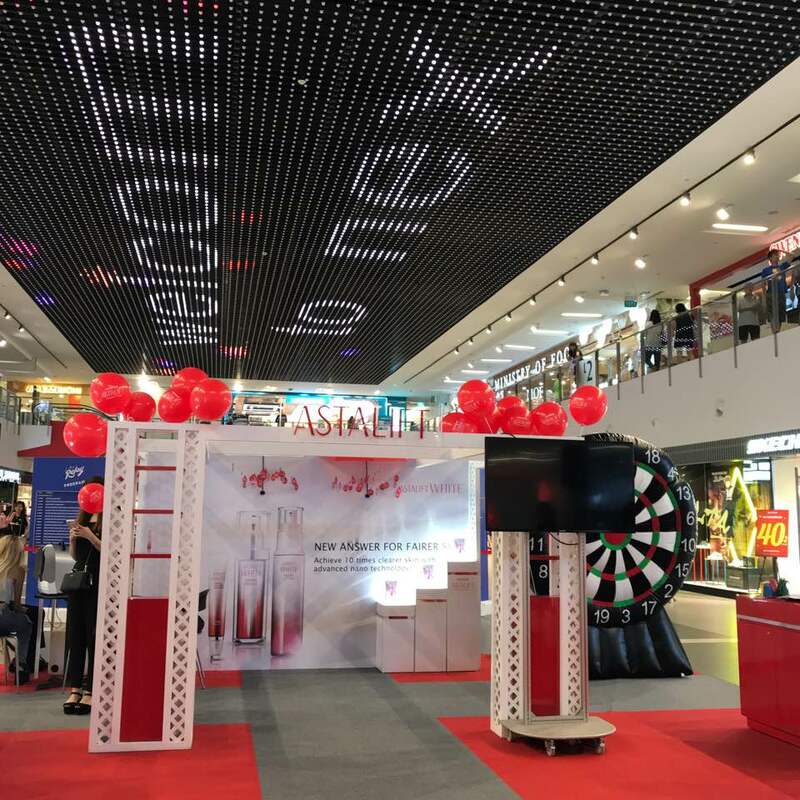 Before I show you the results, let me take you through the road show area! 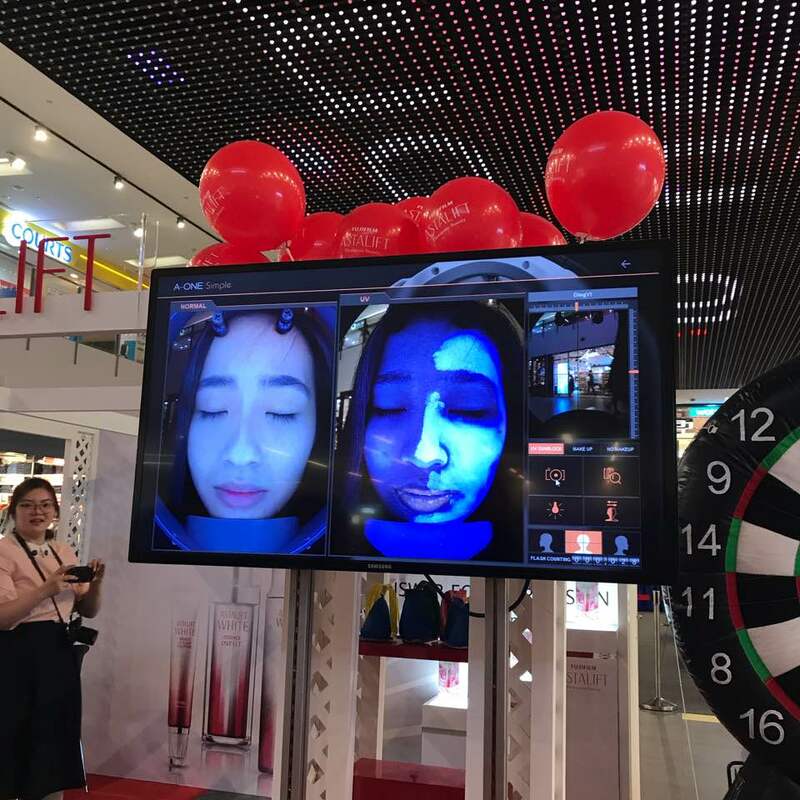 Under the skin analysis test, you can see that half of her face is well protected against the UV rays! This way, you would know what products to use on your skin! 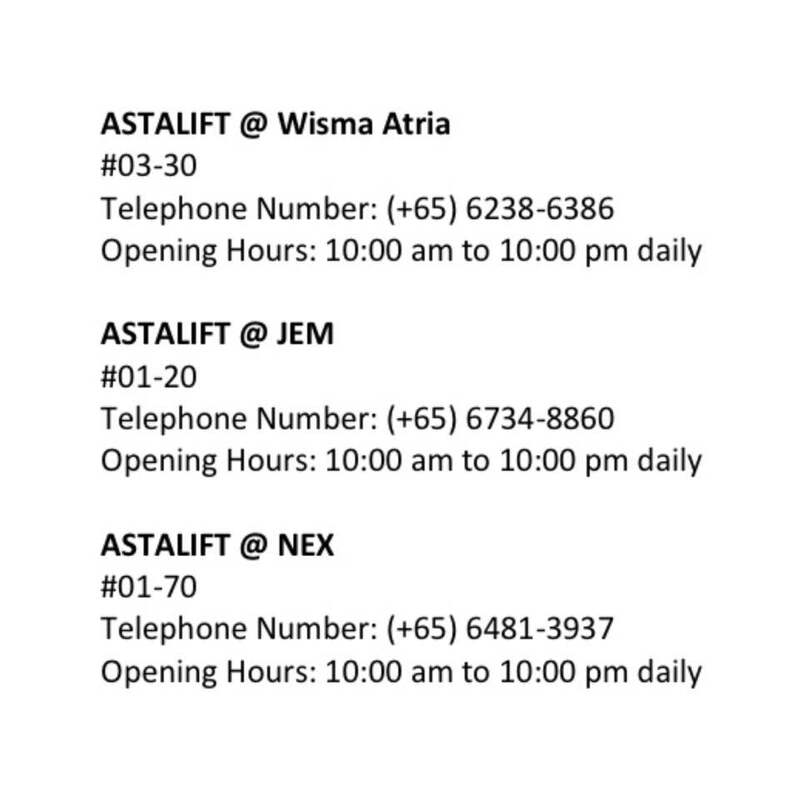 If you’re interested to test out ASTALIFT’s In-Focus Cellactive Serum, Quote my name [Adeline] at any of the outlets below, to receive a 3-day sample!